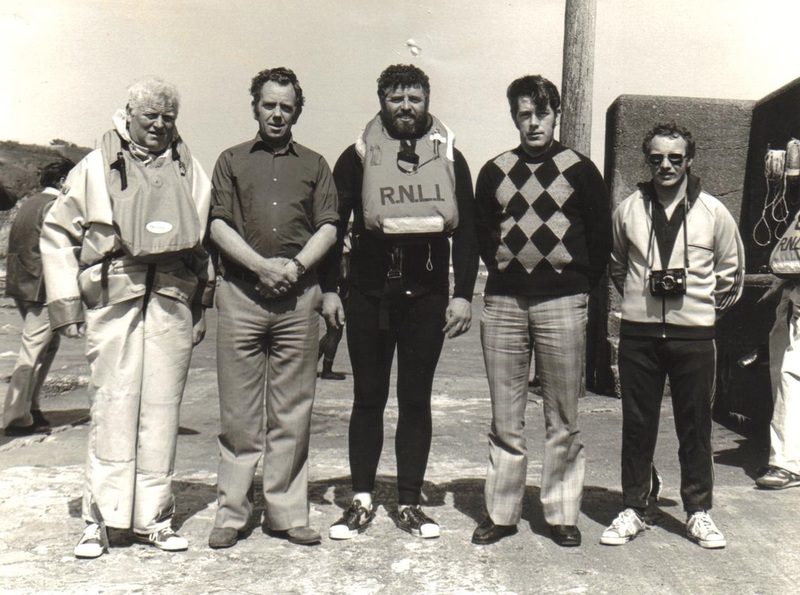 1972 Bundoran Inshore Rescue, a community rescue service, was established. 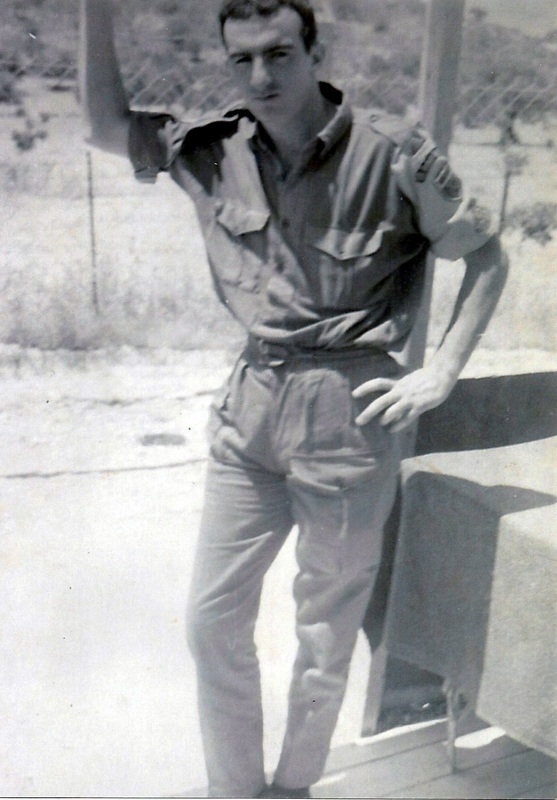 In 1974, Bundoran rescue Committee was set up in after the tragic drowning of Danny Kerrigan, an NCO attached to Finner Camp, who was washed from the cliffs at Roguey Rocks. Despite Danny's great efforts to stay afloat in heavy seas, no boat could get to the scene in time to save him. 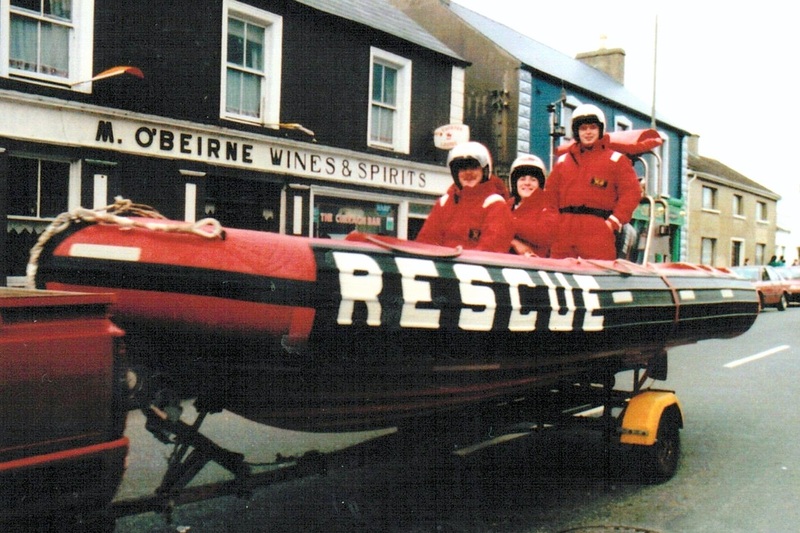 As a result of his tragic death, a meeting brought together members of the Defence Forces, Gardai, Fire Brigade and water safety interests in the area, the result of which was the formation of Bundoran rescue Committee. Completely new to the area of water safety, they sought the advice of RNLI water safety experts from Tramore in Co. Waterford. Following consultation and an assessment of the local area it was decided to launch the new service from the West End pier. The Story of Bundoran Lifeboat"
The RNLI has more than 230 lifeboat stations in the Republic of Ireland and the UK. There are more than 4,500 lifeboat crew members. They are volunteers from every walk of life. The organisation is funded by voluntary contributions and legacies. RNLI rescue operations are coordinated by Irish Coast Guard and UK Maritime and Coastguard Agency. RNLI crews are ‘on call 24 hours a day, 365 days a year. The RNLI operate twelve different types of rescue craft including Inshore Lifeboats (ILBs), All Weather Lifeboats (ALBs), Hovercraft and rescue Jet-skis. ALBs can reach up to 100 miles offshore within 2.5 hours in fair weather.